Please note: we are sorry to report that this product is now out of stock and no longer available. 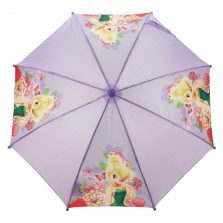 We do however have a number of other children’s character and kids cartoon umbrellas available! 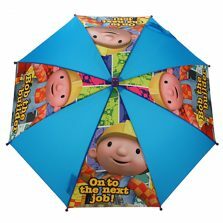 Click to see all of our kids umbrellas! 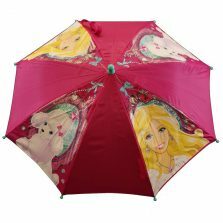 This Toy Story umbrella will take you to infinity and beyond with the iconic Buzz Lightyear from Disney Pixar’s Toy Story series. Four of the eight panels have the heroic Buzz Lightyear printed on them, the other four are bright blue. 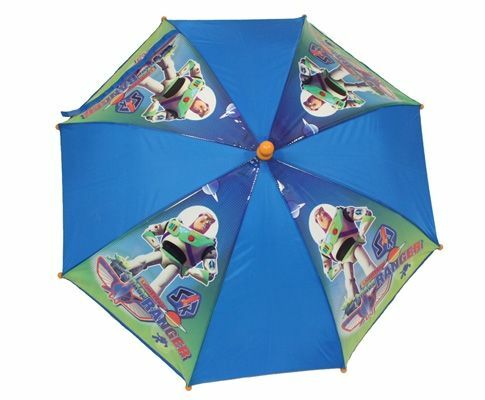 This is the perfect children’s umbrella for any little space ranger or Toy Story fan in your life. Weight is 248 grams, canopy width 66 cm and overall length 56 cm.